HomeTour DatesNEWS: Sacred Reich to March on November! NEWS: Sacred Reich to March on November! 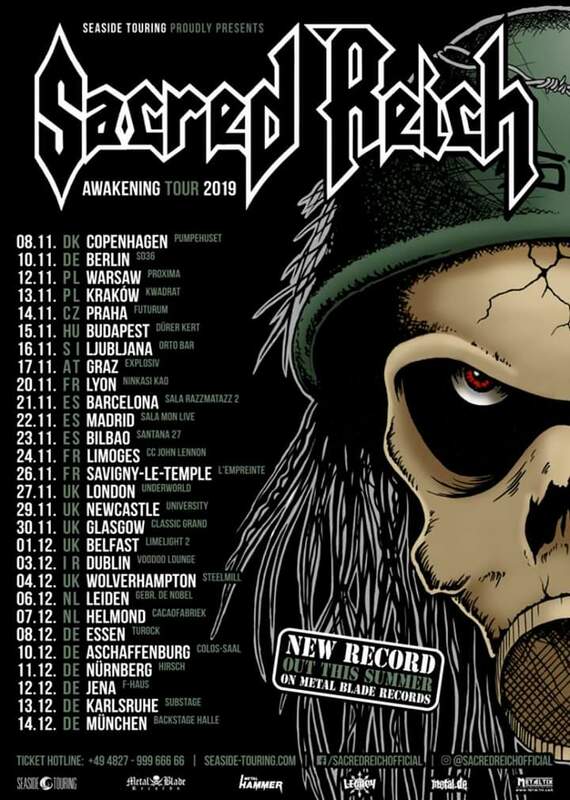 Having already announced a spring US tour run with Iron Regan, Leeway and Enforced, Phoenix Arizona Thrash legends Sacred Reich have announced a European tour with a selection of dates upon our shores. The band are currently recording their first album in 23 long years with the legendary producer Arthur Rizk (Power Trip, Road Mutant, Cavalera Conspiracy) at the helm. Its title? “Awakening”! NEWS: Lotus Eater, Music Video & Tour announced! NEWS: Dead Hands in Nuneaton! NEWS: Cancer Bats back in October!